eCatCreator supports easy and fast creation of electronic catalogs based on eCl@ssclassification and properties. 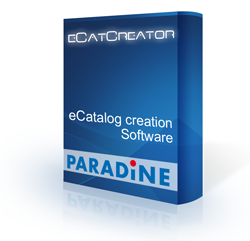 eCatCreator is an easy-to-use PC application for creating electronic catalogs and product descriptions in BMEcat format based on eCl@ss list of properties. Supports eCl@ss Releases 6.0 and above.